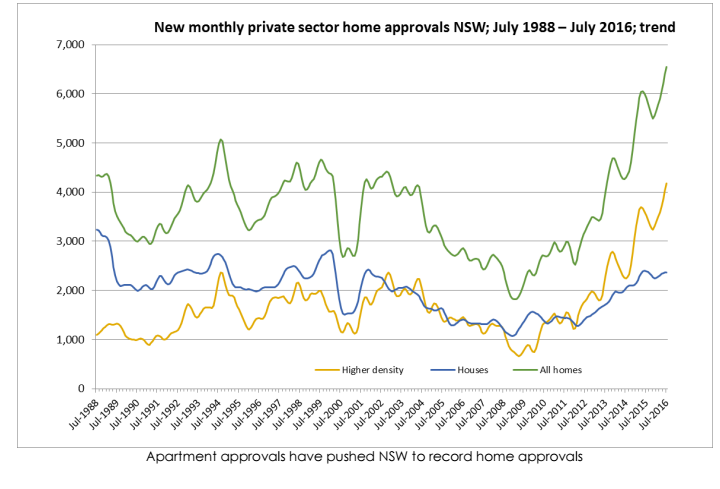 Recent data has revealed that housing approvals in New South Wales have hit an all-time high. 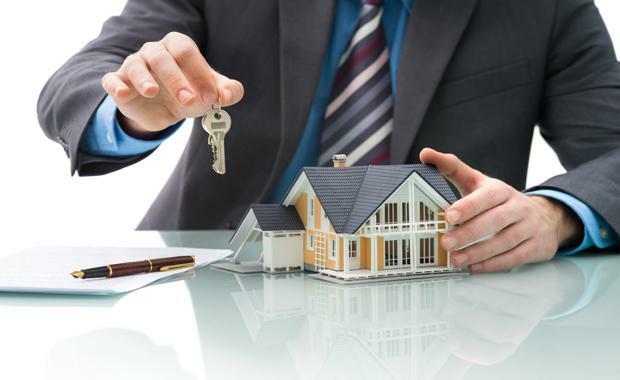 With 6,545 approvals recorded in the latest figures from July by the Australian Bureau of Statistics, the Urban Taskforce CEO, Chris Johnson said NSW housing approvals have taken off again after a recent slow-down due to the trend shift in living options. “The apartment market is taking over NSW and Sydney housing numbers with 4,178 approvals in July compared to 2,367 house approvals,” he said. “The uplift in apartment approvals compares to 5,495 approvals in November 2015 when NSW was slowing down with approvals. “The apartment market can go up and down as big projects get approved in a particular month,” he said. The ABS data also shows an uplift in the value of non-residential building approvals over six months to $960,102,000 compared to $767,194,000 in January 2016. “Overall the NSW housing and non-residential approvals have reached a high point compared to the previous decade which is good news for housing supply and the jobs that go with construction,” Mr Johnson said. “There are however some signs that changes to planning processes may throttle back the growth to a lower level. “While approvals are looking good for NSW this does not necessarily mean that they will all convert to completions as further detailed approvals are required from concurrence agencies and the buyer market may slow down,” he said.